Just one Brighton match has been selected for television coverage in April. The Seagulls' home clash with Tottenham will be played on Friday, April 20, with a 8pm kick-off, so long as neither club are in the semi-finals of the FA Cup. Albion travel to Manchester United in the last eight next month, while Spurs will play away to either Sheffield Wednesday or Swansea in the quarter-finals if they win their replay against Rochdale on Wednesday. Brighton fans can now begin to make travel plans for their other April fixtures. 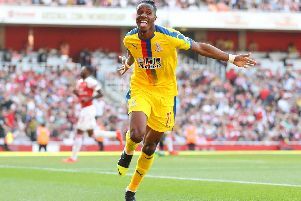 The match with Huddersfield will kick-off at 3pm on Saturday, April 7, and the trip to arch rivals Crystal Palace will be at 3pm on Saturday, April 14. The Seagulls' away trip to Burnley will also take place at 3pm, on Saturday, April 28. The new date for Albion's match at Manchester City is expected to be announced on or around March 19.